There are many factors to take into account when buying a smartphone. You might be a camera guy who’s likely to go for a high-end flagship because of its unmatched camera capabilities. You might take into account build quality as an important factor, and you could appreciate Samsung’s premium-feeling smartphones. Or you might simply prefer raw performance over anything else and go for something like a Xiaomi Poco F1 or a OnePlus 6. Whatever is your preference, you can be sure that there’s a smartphone out there for you. Some people, however, just want the basics. Something that will do the job and allow you to text and breeze through your day. The Honor 7S and the LG Q Stylus+, which have just launched in India, definitely lack the bells and whistles other flagships or even midranges have. 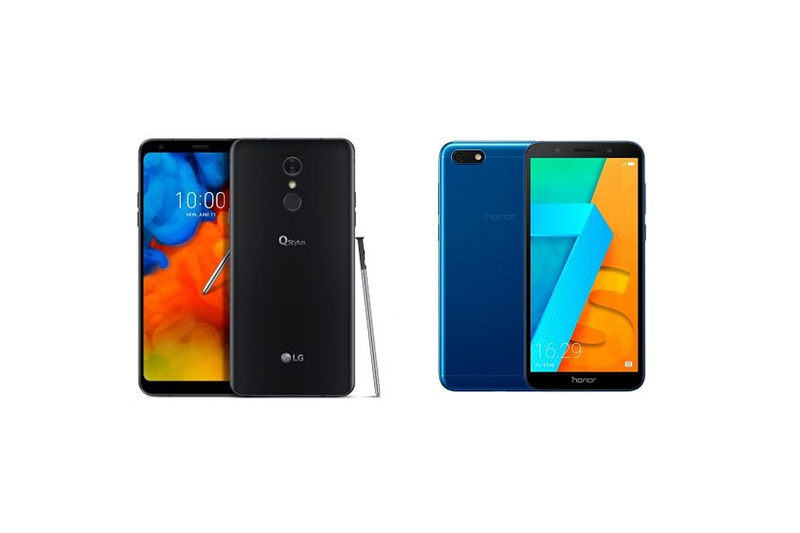 But they are still pretty interesting budget offerings from both LG and Huawei/Honor, and definitely worth having a look at if you’re interested in a budget smartphone. The greatest highlight of the LG Q Stylus+ is, namely, its stylus, at least in our opinion. While its nowhere near as fancy or feature-rich as the one found in the Samsung Galaxy Note 9, it’ll allow you to jot down some stuff on the go, even with the screen off—a big plus if you appreciate this feature on Samsung’s Galaxy Note line of smartphones. It also has an IP68 certification for dust and water resistance, as well as a MIL-STD 810G certification, meaning that your phone should be safe wherever you take it as long as you don’t abuse it. It’s definitely not the top dog in the spec department, though. It’s powered by a 1.5GHz octa-core MediaTek SoC with 4 GB of RAM—thanks to Project Treble, MediaTek processors shouldn’t be an impediment for custom ROMs anymore, if you’re interested in that. You also get Android 8.1 Oreo out of the box, although an update to Android 9 Pie is very unlikely to happen—LG rarely updates their own flagships to begin with, so those using their midrange phones shouldn’t expect a lot. We also get a 6.2-inch 18:9 FHD+ display and a 16 MP rear camera. The whole package is kind of underwhelming given its Rs. 21,990 price tag, in my opinion, but stylus capabilities and ruggedness make it stand out from a crowd of same-same midrange devices. The phone will absolutely do its job and probably excel at it, helping you with your daily activities and so on. So, if the additional features have caught your eye, and you don’t mind subpar update support, this is definitely the phone to get. 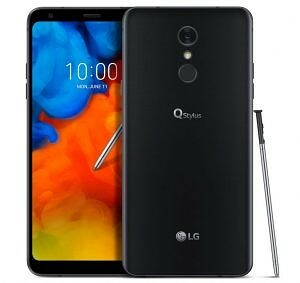 The LG Q Stylus+ is now available starting at Rs. 21,990 through official stores in both Moroccan Blue and Aurora Black presentations. The Honor 7S is not going to blow everyone away spec-wise. But it brings a couple of features normally considered “premium” to the lower end spectrum of smartphones. It packs an 18:9 display with reduced bezels. While it’s only HD+ (1440×720), you shouldn’t have any major issues given its compact size (5.45 inches). The build quality, while plastic, should still feel pretty solid in the hand. The spec front is pretty disappointing, however: it’s powered by a quad-core MediaTek SoC coupled with 2 GB of RAM and 16 GB of (expandable) memory. On the software front, you have Android 8.1 Oreo with Huawei’s own EMUI 8.1 customizations. Unfortunately, you’re very unlikely to be getting any updates since we’re talking about a rather lower end device. Custom ROMs are completely out of the table here as well: while it does support Project Treble, Huawei recently stopped giving out bootloader unlock codes, meaning that the Honor 7S bootloader cannot be unlocked, and thus, the device cannot be rooted or modified in any way, to the disappointment of users. The price tag is the phone’s saving grace here. At a mere Rs. 6,999, it’s an option worth considering, especially when put against the normally underpowered Android Go competition. 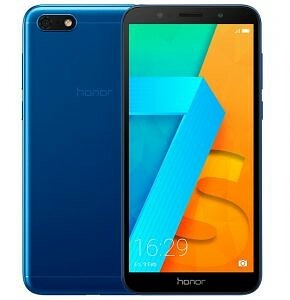 The Honor 7S will be available through Flipkart and Honor’s own official store in Black, Gold, and Blue presentations starting September 14th. What do you think about LG and Honor’s new budget phones? Leave us your thoughts in the comments.